Subject: White House to Admit a $1.7 Billion "Ransom Payment" to Iran? 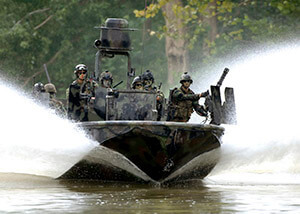 Ten Navy members were on patrol in two boats near an Iranian military base. The bill was jointly filed by Rep. Mike Pompeo (R-KS) and Sen. John Cronyn (R-TX) on May 25. Dubbed the "No Impunity for Iranian Aggression at Sea Act," the legislation seeks to compel President Barack Obama's administration to certify whether federal funds were doled out to Iran as a "ransom payment." You see, on Jan. 12, Iran seized two U.S. Navy patrol boats and 10 crew members who were described as "trespassing" in Iranian waters near a major naval base. The officers were released a day later, on Jan. 13. But on Jan. 14, the White House mysteriously forked over $1.7 billion to Tehran. The disbursement was made under the pretense that it was simply settling a long-running claim over military equipment back pay. Still, the coincidental timing raised eyebrows. White House and State Department officials denied any connection between the payout and the prisoners' release. And the money, officials from the president's administration claimed, came from a permanent Treasury Department fund established to cover court judgments and settlements. Republican lawmakers pushed back. They blasted the administration for negotiating with terrorists and endangering Americans abroad by creating incentive among enemies to take hostages. Then they asked for proof that the two incidents were not, in fact, linked. "There's no way the recent events occurred randomly," Pompeo wrote to Secretary of State John Kerry the week the payments were made, a Jan. 21 article in The Washington Post reports. "We will do our best to find out if this was in our interest," he vowed. With his new congressional bill, Pompeo is making good on his word. Alongside compelling the White House to disclose information about the $1.7 billion, the legislation would also level sanctions against Iran for a possible breach of Geneva Convention rules governing legal military detainment. So after the incident that took place on Jan. 12th, release on Jan. 13th and payment to Iran on Jan. 14th was all just co-incidental, huh? Like so many other unexplained convenient events in this last eight years of the Obama rein, I have questions! So just what happened with the June 2nd, 2916, bill dubbed as, :No impunity for Iranian aggression at sea act"? Isn't there a follow up by Mike Pompeo (R-KS) and John Cronyn (R-TX)? Did Obama's little Representatives pull a Holder and just not show up and ignore a CONTEMPT CHARGE AND GET AWAY WITH IT?